Rea back on top ahead of van der Mark after Assen FP1! Four manufacturers at the front of the WorldSBK field with less than a second covering the top ten! 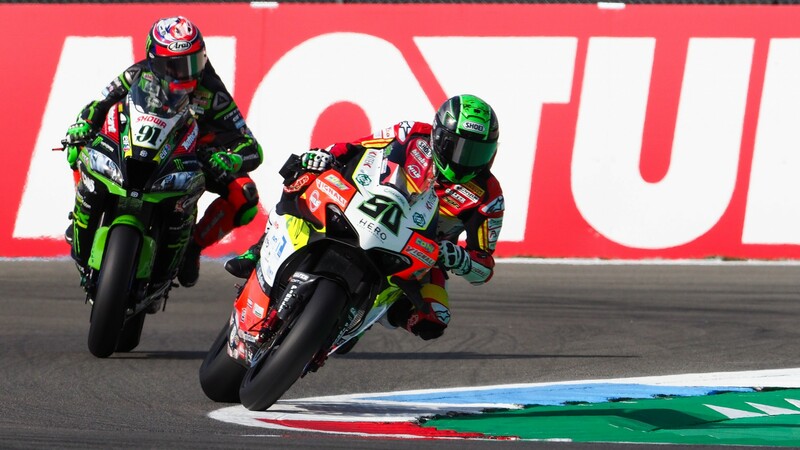 The first session of the Motul Dutch Round for the MOTUL FIM Superbike World Championship was fierce from the start, despite an animal interruption bringing the red flag out momentarily at the very start of the session. It would be reigning four time WorldSBK Champion Jonathan Rea (Kawasaki Racing Team WorldSBK) who returned to the top of the pile after FP1, but it wasn’t by much as less than half a second covered the top six! 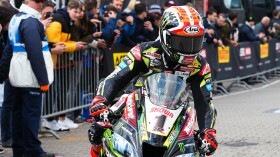 Nine second place finishes in the races in 2019, Jonathan Rea started his resurgence in great shape, topping the opening session for the first time in WorldSBK since Phillip Island at the start of the season. The Northern Irish rider, who is looking for his 13th win at Assen to make him the most successful rider ever at any given circuit, improved his time to a 1.35.598 to consolidate his number one position. Teammate Leon Haslam was seventh on his return to WorldSBK action at Assen. 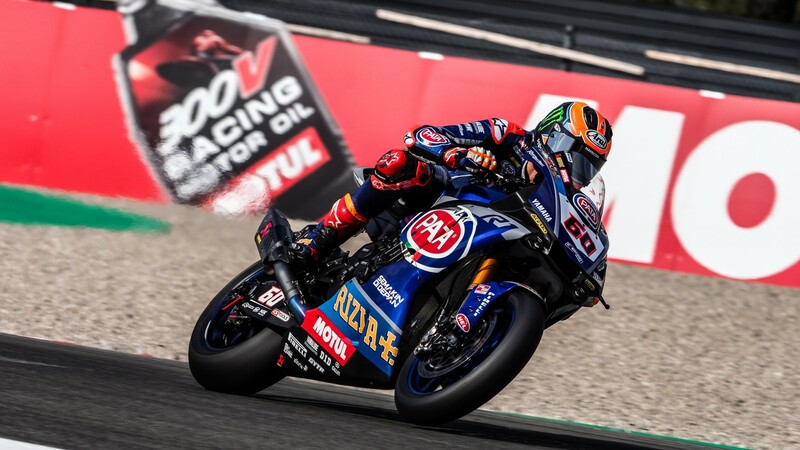 After what was a fairly quiet MotorLand Aragon, Michael van der Mark (Pata Yamaha WorldSBK Team), returned to the front end of the grid on home soil in The Netherlands. The Dutch rider consistently improved during the session and placed second at the very end of FP1. His teammate, Alex Lowes, had a positive session but a fast crash at Turn 9 with 25 minutes to put him out of action for the remainder of the session. He finished ninth overall. After a positive MotorLand Aragon, Tom Sykes (BMW Motorrad WorldSBK Team) was once again up at the sharp end of the time-sheets. The 2013 WorldSBK Champion set a number of fast lap times on his way to finishing in third position, just under two tenths of a second behind former teammate Rea. Markus Reiterberger (BMW Motorrad WorldSBK Team) was top German rider and completed the session in sixth place after a late surge of improved lap times. Topping the sector times in sector three, Reiterberger could be a surprise package this weekend. Making improvements throughout the session, Alvaro Bautista (ARUBA.IT Racing – Ducati) was not the dominant rider we’d become accustomed with in the first three rounds off the season. 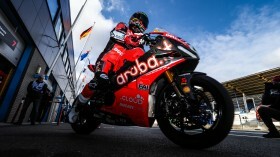 The championship leader completed the session in fourth place, behind his championship rival Rea. Teammate Chaz Davies had a successful session as he continued his good pace from MotorLand Aragon, with the Welshman finishing in fifth. Two Independent team riders were able to break inside the top ten, as Toprak Razgatlioglu (Turkish Puccetti Racing) finished in eighth position, as he made progress through the session. The Turkish rider finishing just 0.850s behind Jonathan Rea at the close of play in FP1. Rounding out the top ten was the second Independent team rider of Jordi Torres (Team Pedercini Racing), who is looking to continue his top ten form from Assen. It is fair to say that the Kawasaki riders have certainly joined the fight for the top Independent honours. You can follow all the action in FP2 and through the rest of the Motul Dutch Round with the WorldSBK VideoPass!